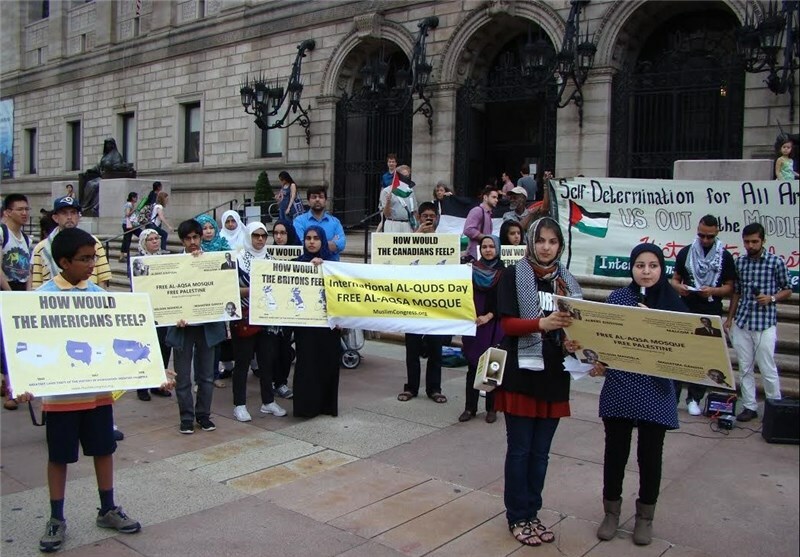 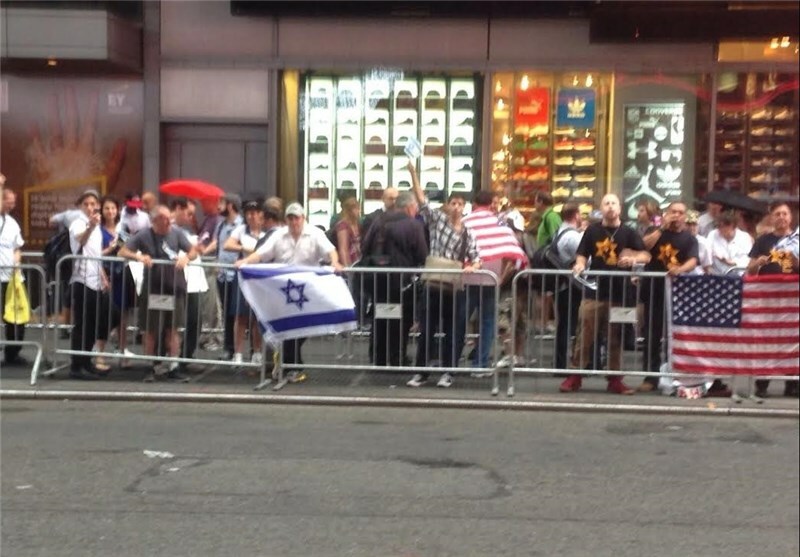 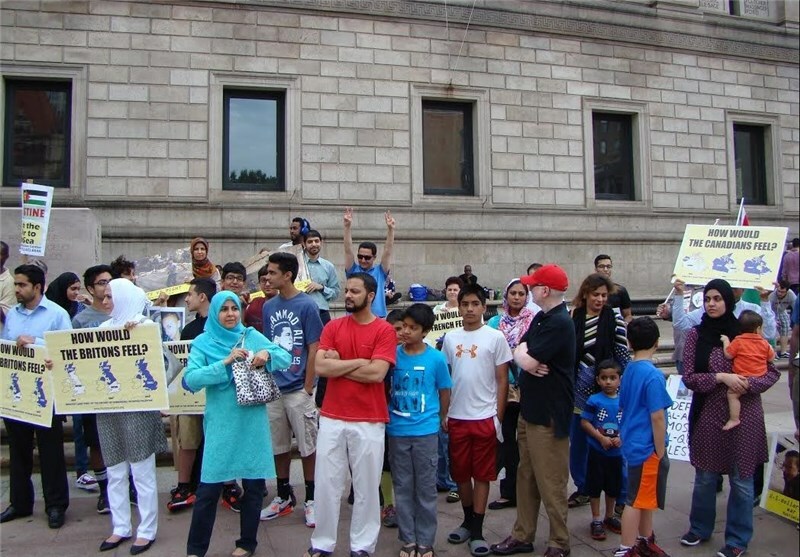 WASHINGTON, D.C. (Tasnim) – Hundreds of Muslims and human rights activists staged demonstrations in the US cities of New York, Boston and Portland in solidarity with the Palestinian people on the occasion of International Quds Day. 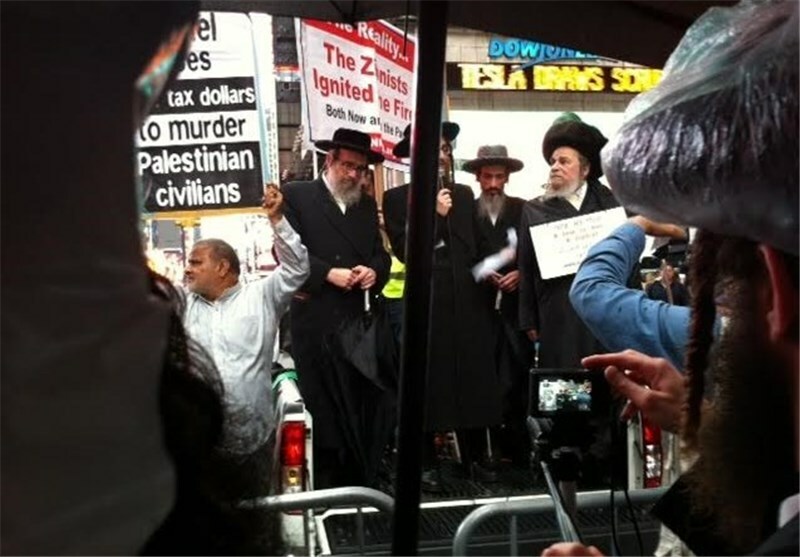 According to Tasnim dispatches, more than 400 people held a demonstration in New York City on Friday to condemn heinous crimes committed by the Israeli regime against the Palestinian nation and urge the international community not to keep silent on the issue. 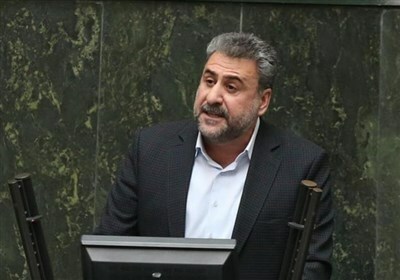 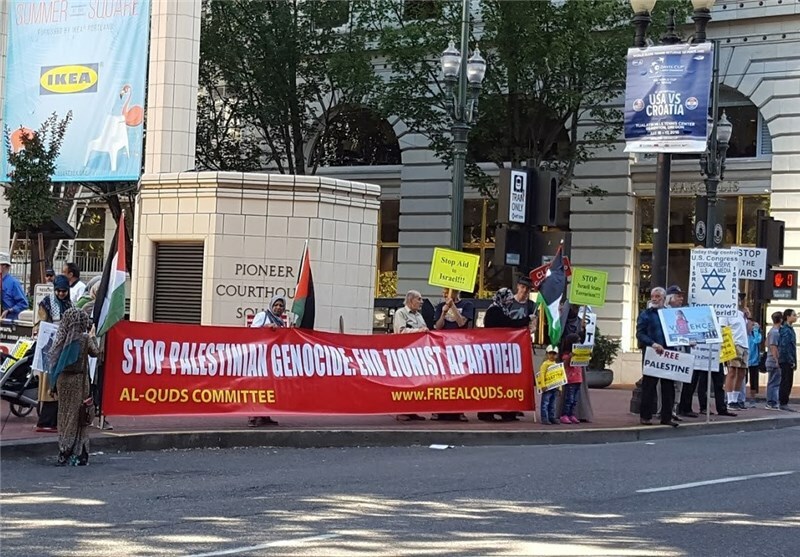 Some 100 people also staged a rally in Portland, the largest city in the US state of Oregon, to mark the International Quds Day and express their support for Palestinians. 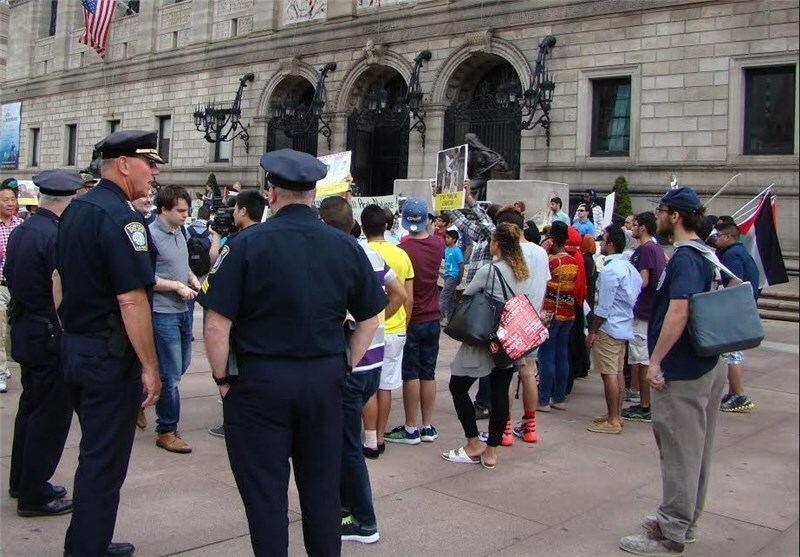 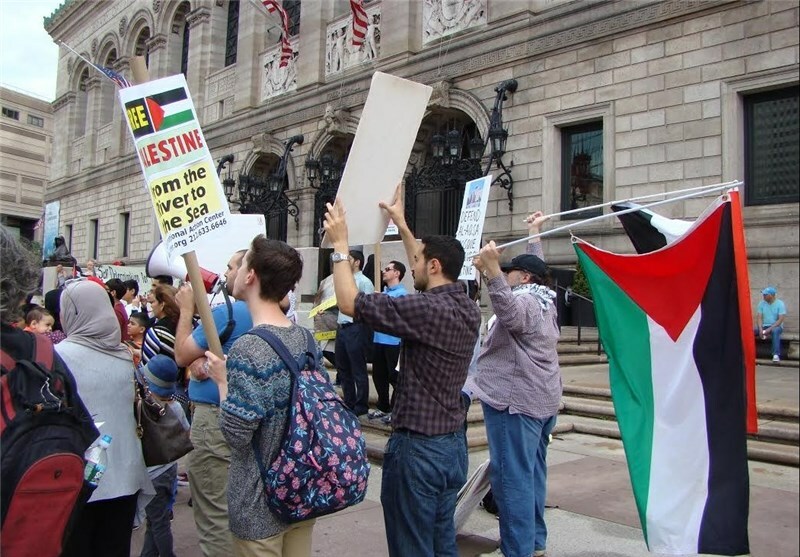 In another protest rally in the US, around 300 people, including peace activists, gathered in Boston, Massachusetts, to voice their solidarity with the Palestinian nation. 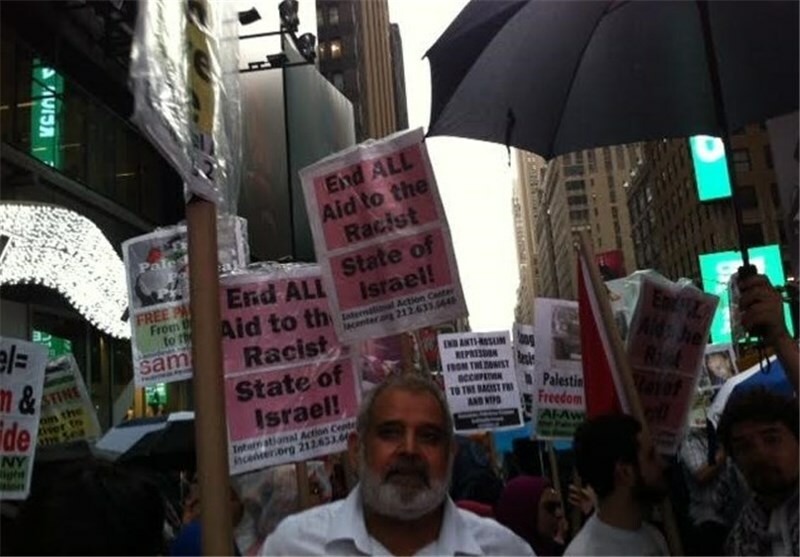 The demonstrators carried various placards, saying “Stop Funding Genocide,” “Free Palestine,” and “End Zionist Apartheid”. 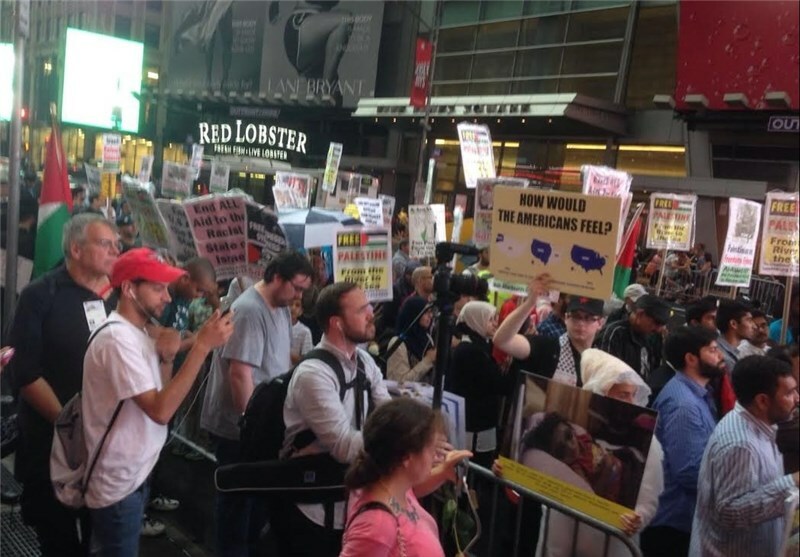 Each year, millions of people across the world hold massive rallies on the last Friday of the Muslim holy month of Ramadan to show their solidarity with the Palestinian people. 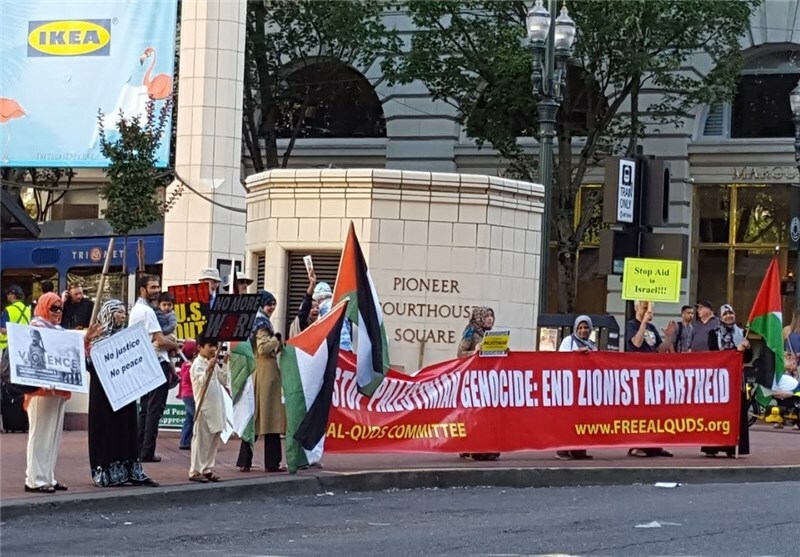 It is seen as an opportunity for freedom-seeking people across the world, regardless of their faith, to voice their support for the cause of Palestine and vent their anger against the Apartheid regime of Israel, which has occupied Palestinian territories since 1948.